Under a ‘humanitarian’ pretext tries der Spiegel to bring as many immigrants from Africa and the Middle East into Europe. In that it follows the orders of its US overlord to destroy the fabric of European societies in the best Marxist traditions. Der Spiegel refers to Australia, that did indeed manage to completely stop the influx of boat people, by simply intercepting them and bringing them back to where they came from. But der Spiegel claims that this can’t work for Europe, because, you see, what Australia does is not humanitarian enough. 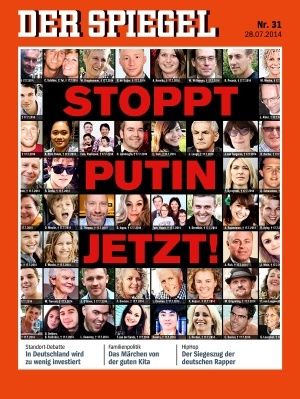 Der Spiegel and the rest of the media are our enemies, mouth pieces of US imperialism and left-overs from a time gone by. Der Spiegel reports about the speech Geert Wilders held yesterday in Dresden for Pegida supporters. Der Spiegel attacks Wilders, but not with brute force, by attempting to downplay the arguments made by Wilders. But in reality, Wilders and der Spiegel are not really enemies, both operate on behalf of the communist New World Order, a secular world, without nations and borders. Wilders attacks Islam and tries to demonize it and attempt to remove the belief system from the heads of the Muslims. Wilders is not really a Dutch nationalist, but a neocon in disguise. 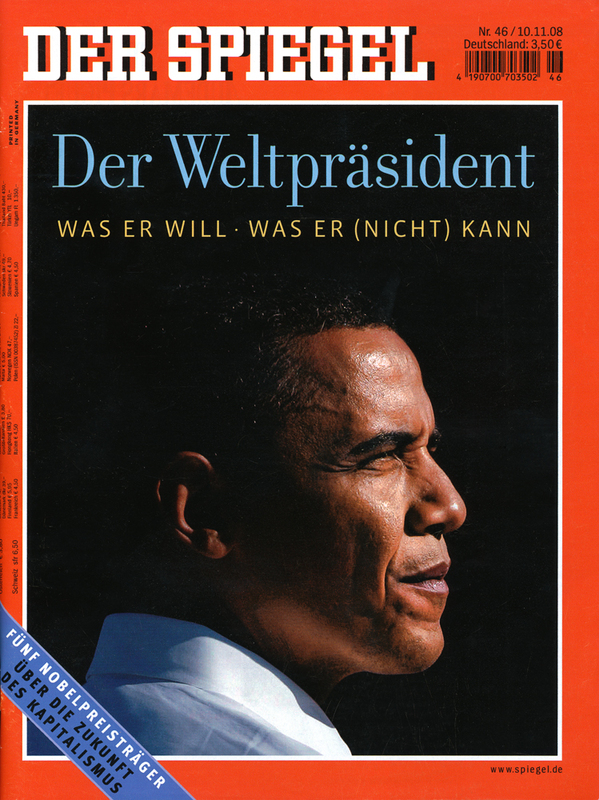 Both Wilders and der Spiegel operate in the interest of Washington. Our anti-NWO attitude is that we are not interested in a confrontation with Islam, we just want to keep it out; at home they can do what they want. We want a multi-polar world, where Europe and the Caliphate exist next and independent of each other. In that light it becomes understandable why we ‘secretly’ love ISIS. Because the more fundamentalist these people behave, the more difficult it becomes for our local commies to keep advocating that Europeans should mix with Muslims. Der Spiegel tries to downplay the level of ‘fundamentalism’, a lie. Read this to learn what Muslims living in western Europe really think. Without a peep of protest, der Spiegel reports on Greek government claims to the tune of 278 billion euro ‘reparations’, related to WW2. Der Spiegel even goes so far to place a picture referring to a ‘massacre’ the Germans committed in Distomo, where 214 people were killed in retaliation for the Greek communists killing perhaps 10 Germans first, but that is always ignored. Interesting is that in recent elections , no less than 335 votes for Golden Dawn were counted in Distomo. could this be the key to the Distomo massacre, namely that in 1944, Greek communists selected Distomo to carry out the killing of the Germans, knowing full well that reprisal killings would hurt a ‘notoriously right wing’ village. Not everybody in Greece was a communist. 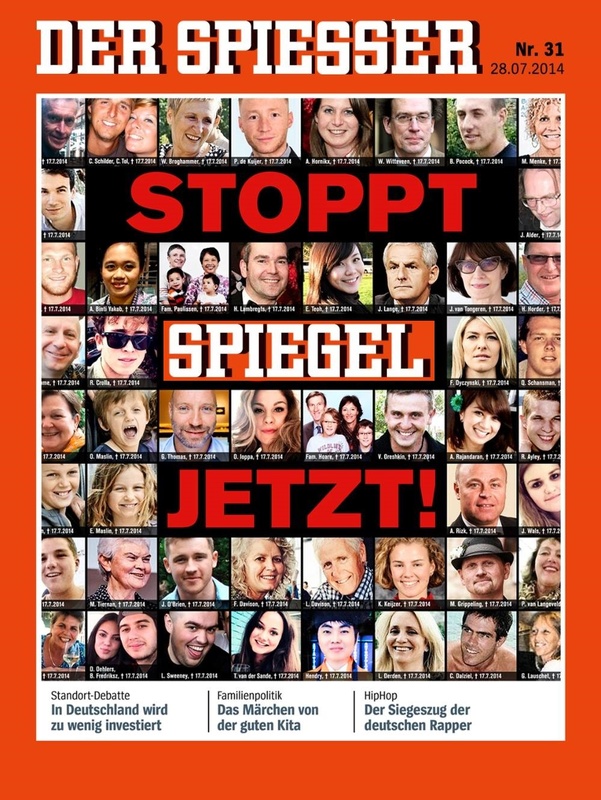 Der Spiegel barks that “nationalism=losing political morals”. 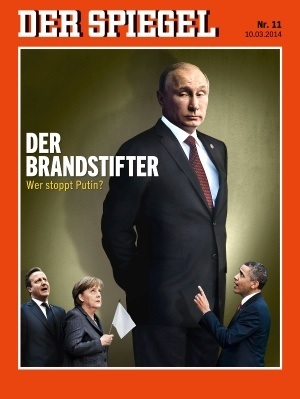 According to der Spiegel there is only one political morality and that is the New World Order, the world in the hands of the banksters of New York and London. Der Spiegel and all the other media promote the idea of 21st century communism: a world without nations, mixed populations and religions subservient to a secular state. Promoters of this idea: Washington, NYC, London, Tel Aviv, European Left and third world masses. Opponents: Russia and China, thank God, both nuclear armed to the teeth, the world of Islam (both flavors) and the rising European Right and American Constitutionalists (“Texas”). As always, der Spiegel tries to sell the lie that the people, who attempt to cross the Mediterranean, are all ‘refugees’, fleeing from ‘war an persecution’, where in reality the vast majority consists of young men, who want to increase their income at the cost of the European taxpayer. Their contribution to European society is little to nothing and most of them end up in criminality and hand-outs. Der Spiegel goes so far to claim that mass-immigration doesn’t cost money at all. In contrast, in the Netherlands a researcher named Pieter Lakeman calculated in his book ‘Binnen zonder kloppen‘ (Entering without knocking, 1999) that the average working Dutchman needs to work one month per year to cover the cost of mass-immigration, due to 40% unemployment and 20% disability payments for Muslim immigrants (Moroccans and Turks). Der Spiegel tries push increased immigration wherever it can and insinuates that immigration is is win-win situation on economic grounds. Elections in the UK soon, so media duels between Cameron and Milliband. The winner, according to der Spiegel is interview Jeremy Paxman. If you don’t understand why der Spiegel is pushing Paxman, you don’t understand how the West operates since 1945. “The arsonist”. Lefties doing what lefties always do: demonize, its their core business. “World president”, you cannot get the NWO more in-your-face than this. All nations are equal, but some are more equal. The US is ‘exceptionalist’ and you better obey.